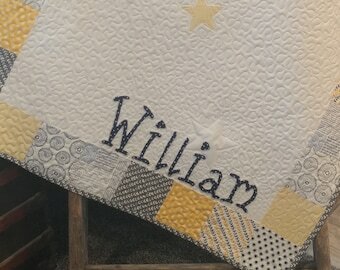 Custom Listing for Faith and William He’ll be as snug as a bug in a rug with this gray and yellow boy’s star quilt from The Quirky Quiltr. Custom handmade just for you, it features a white center with a stylish arrangement of patterned patches along the border. 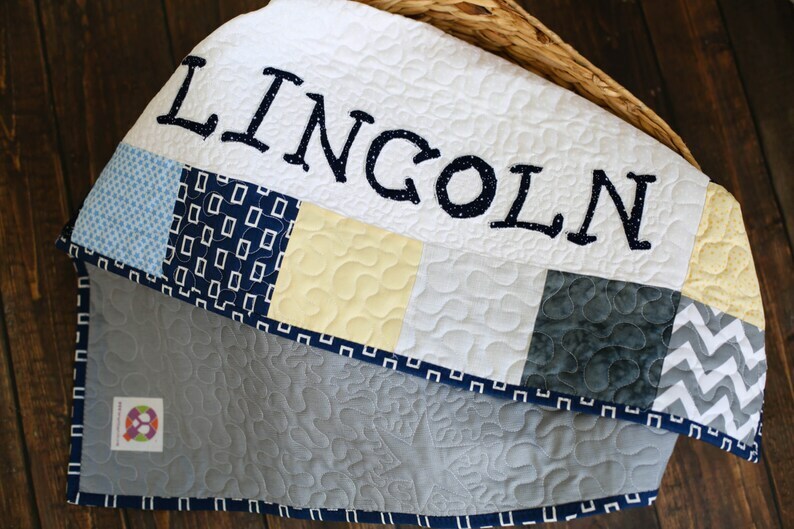 A series of appliqued stars float above your child’s name and a navy blue edging seals the deal. 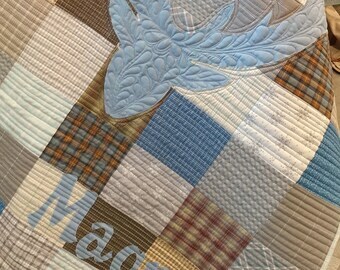 This is a uniquely original quilt that will heighten the decor in your baby’s nursery. As a gift, it will certainly delight! It is an original The Quirky Quiltr creation. Order now to guarantee availability.